Punjab: Around 842 ultrasonologists in the state will be required to clear a test to be conducted by Baba Farid University of Health Sciences, Faridkot before 31st December, 2016, if they wish to practice in the state. 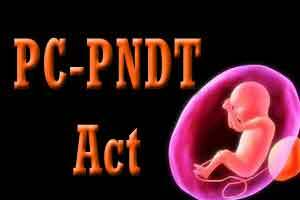 This come after a decision in the meeting done by State Supervisory Board under the PC-PNDT act which further specified that radiologists and gynecologists will be exempted from taking the test. The meeting was chaired by Principal Secretary, Health, Vini Mahajan, reports HT. The test is tentatively scheduled for June and August. Dates for the same would be soon announced by Medical Education and Research Secretary Hussan Lal. “Those who don’t clear the test will be required to undergo six-month training at five medical colleges in state,” Mahajan specified. Refer Delhi High Court judgement and there is sufficient ground for challenge.